Cranberry beans on a wooden table. 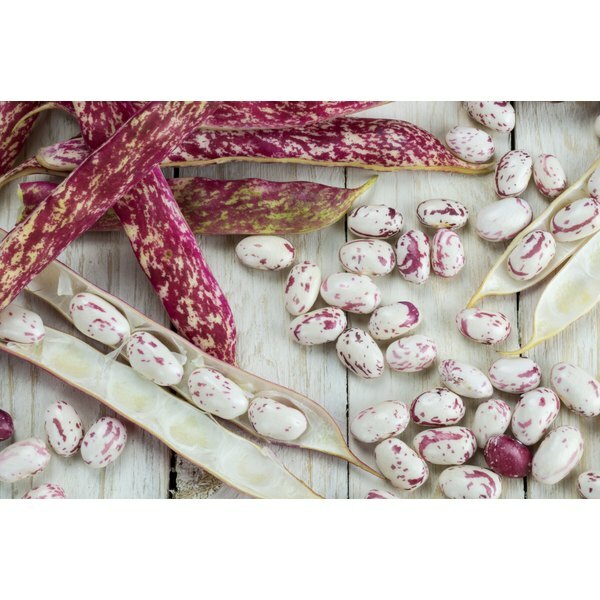 1 What Are the Health Benefits of Legumes? 4 Are Bean Sprouts Good for You? 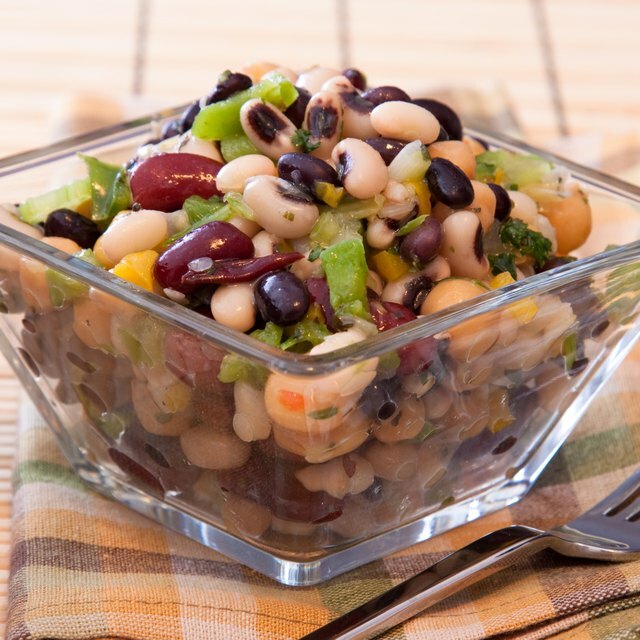 Beans, including cranberry beans, give you a big nutritional bang for your buck. These nutrient-rich foods provide protein for fewer calories and without all of the fat and cholesterol found in meat, and they may also lower your risk for cancer, diabetes, heart disease and obesity, according to North Dakota State University Extension. Add them to soups, salads or stews, or use them to make a side of baked beans. You'll get a big fiber boost whenever you consume cranberry beans, since each cup gives you 17.7 grams of fiber, or 71 percent of the daily value for those who follow a 2,000-calorie diet. Fiber adds bulk to make your diet more filling without adding calories since it isn't digested, making it beneficial for those who are trying to lose weight. It also helps you control your blood sugar, lower your cholesterol and decrease your risk for heart disease and digestive issues such as constipation and hemorrhoids. When you eat a cup of cranberry beans, you'll increase your intake of essential minerals. This serving provides 13 percent of the DV for zinc and more than 20 percent of the DV for manganese, copper, potassium, iron, magnesium and phosphorus. You need zinc for cell division and healing wounds, manganese for forming bones and processing cholesterol and copper for keeping your blood vessels and nerves healthy. Potassium helps counteract the effects of sodium on your blood pressure, and iron is important for forming red blood cells to transport oxygen throughout your body. Magnesium is essential for energy production and blood sugar control, and phosphorus plays a role in forming cell membranes and DNA. While cranberry beans only contain relatively small amounts of most vitamins, they do provide 92 percent of the DV for folate and 25 percent of the DV for thiamine per cup. Folate is essential for forming DNA and preventing certain types of birth defects, and you need thiamine for turning the food you eat into energy and proper brain function.